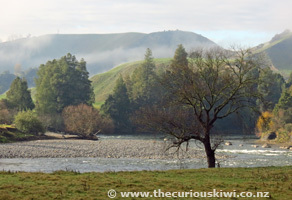 As we left Taumarunui and entered the Forgotten World Highway a light mist hung over the hills. With no vehicles in sight and only sheep and the Whanganui River for company we followed the winding road into the forgotten world. 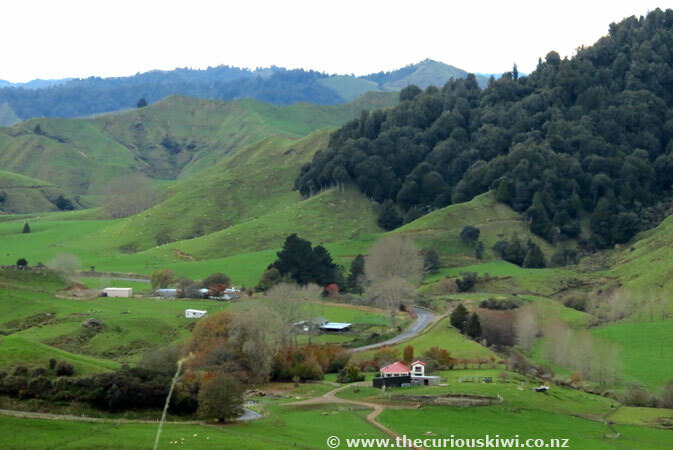 A world full of native bush punctuated with ponga trees and steep green hills stripped and fenced off for farming. Fifteen kilometres along the highway from Taumarunui we found Lauren's Lavender Farm. Lavender will be blooming at the end of December but in June the bushes are bare and the cafe is closed for winter. With our Forgotten World Highway brochure in hand we took our first 4.5km detour down narrow, unsealed Saddler Road. We were heading to Nukunuku Museum with its collection of river boat and early settler memorabilia. All we found was an unreadable, decaying sign and some old farm sheds. 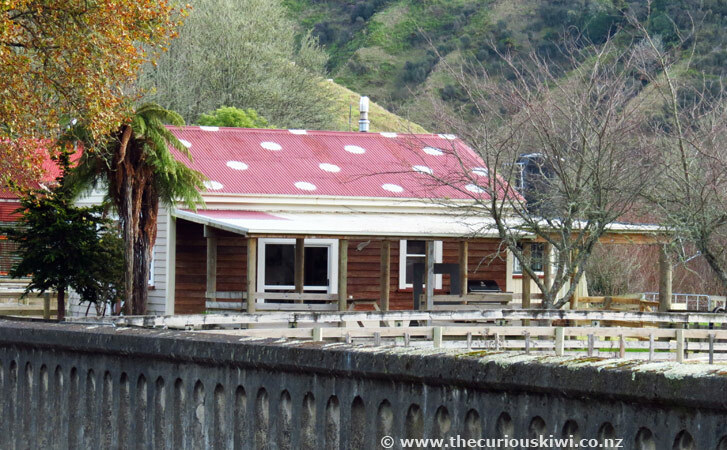 Back home via Google I read that others can't find the museum either, although Forgotten World Jet (formerly Taumarunui Jet Tours) did once offer a Nukunuku Museum Experience so it must have existed. 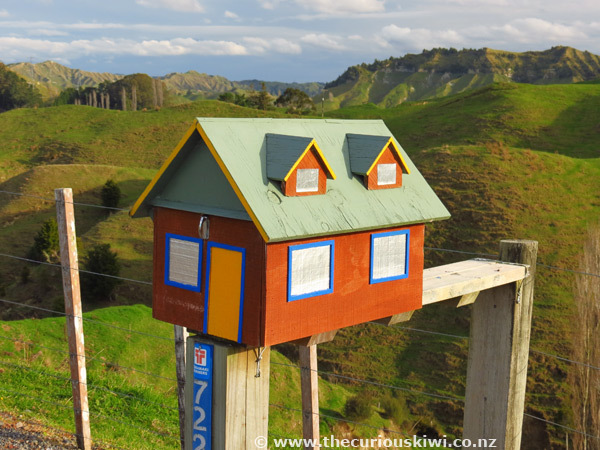 Nevin's Lookout was our next stop, it's a short walk up the hill through farm land for views across the King Country, and if you're lucky mountains Ruapehu, Ngauruhoe and Tongariro. Another detour, this time 10km off the highway to the settlement of Ohura, an ex coal mining and mill town, now home to less than 200 people. We were looking for the prison turned backpackers which as it turns out is no longer trading and was sold to religious group Hope International. 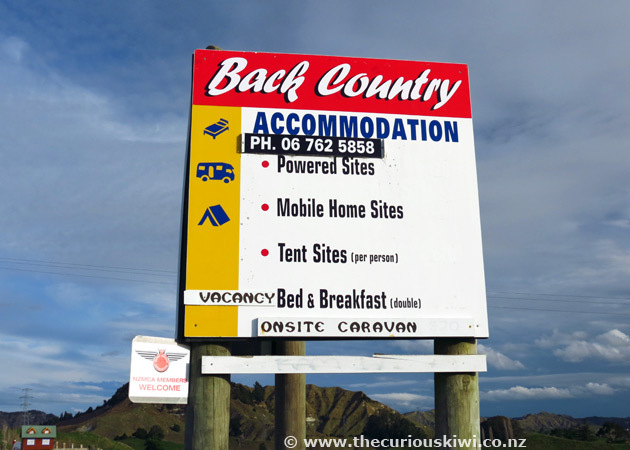 There is now no accommodation in Ohura although if you're travelling in a camper van you're welcome to park over night for free at Ohura Cosmopolitan Club. 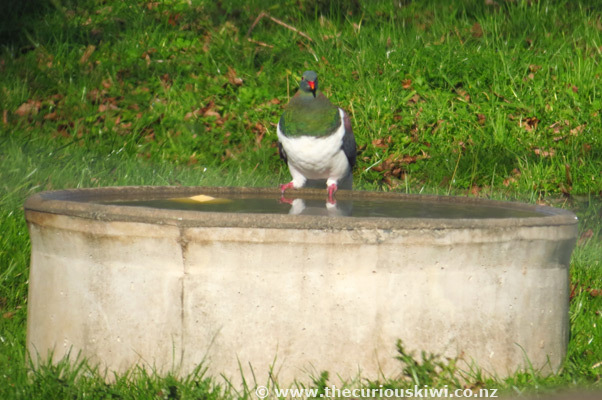 There were some surprises in Ohura like our second ever sighting of a kereru (NZ wood pigeon) in the wild and a little Bike Museum. We visited on a Saturday morning when husband and wife team Charley and Janet had their shop open, the one and only shop in town. Janet sells second hand bits and pieces in her half of the shop and Charley's half includes a Bike Museum. 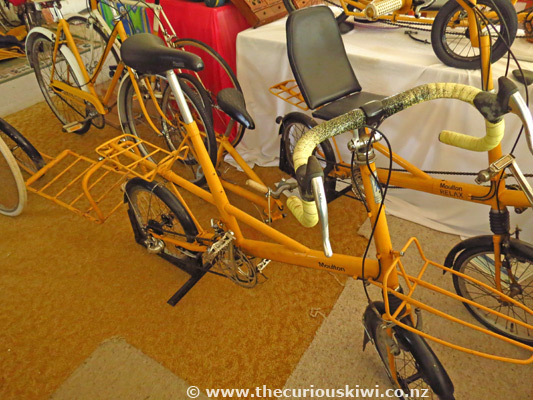 Cycle enthusiasts have probably heard of Moulton Bicycle Company, the English company that handcrafts bikes famous for their small wheels and full suspension. Charley has a few Moulton bikes, a couple he modified for cycle touring. 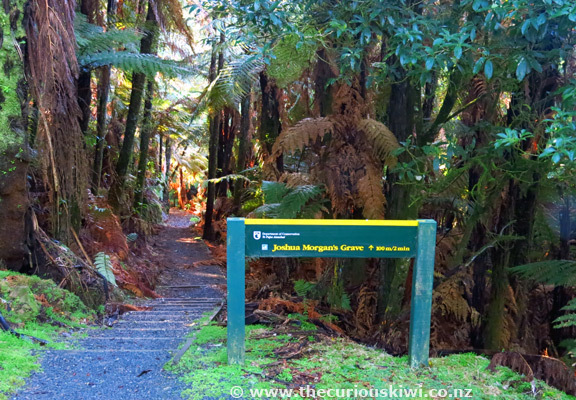 The next stop was just over the Tangarakau Bridge near Joshua Morgan's grave. Joshua was a 35 year old pioneer surveyor who died of suspected peritonitis in 1893. Rugged and remote bush stood between Joshua and medical assistance and he was buried where he died, working to link Stratford to Taumarunui. It's a short two minute bush walk to Joshua's grave, the remains of his wife Anne were also put to rest here in 1953. (This photo shows the grave site and Tangarakau Bridge around 1915, 100 years later the bush has regenerated significantly). Today, 12km of the Tangarakau Gorge remains unsealed. It seems apt in a way as it causes drivers to slow down and maybe ponder how the trip was before tarseal and motorised wheels. Another reminder for us of how times have changed was the lone horseman we passed leisurely trotting out the kilometres. 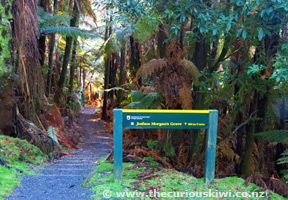 Our next detour was a 15km drive down Moki Road to the starting point of the track to Mt Damper Falls. Note that access to the falls is via private farmland and the track is closed from 1 August - 31 October for lambing, so save yourself the detour during these months. There are two picnic tables in the paddock at the start of the track and a long drop near the car park. It's an easy 20 minute walk through farmland and then down a bush track to see the 74 metre Mt Damper Falls sliding over the bluff. Walk down a second set of stairs to see the falls meet the water. 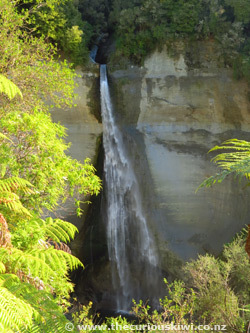 (If you're a fan of waterfalls check out www.waterfalls.co.nz). Back on the highway we made slow progress through the 180 metre long Moki Tunnel looking for fossilised crabs. Number of crabs seen? Zero. The tunnel is known locally as the 'Hobbit's Hole' and was built in the mid 1930's, the floor was lowered in the 1980's to allow access for tall trucks. Continuing on we saw a sign for Tangarakau Ghost Town - Camp & Accommodation. 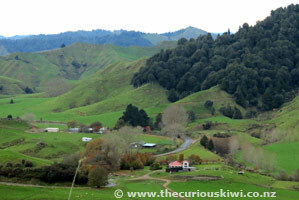 We'd driven down unsealed Raekohua Road before and knew there were no remnants of Tangarakau Town to be seen. 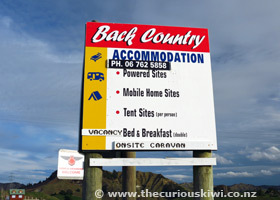 However there was also a sign for Bushlands Holiday Park so we drove 6km down the road to see what we could find. 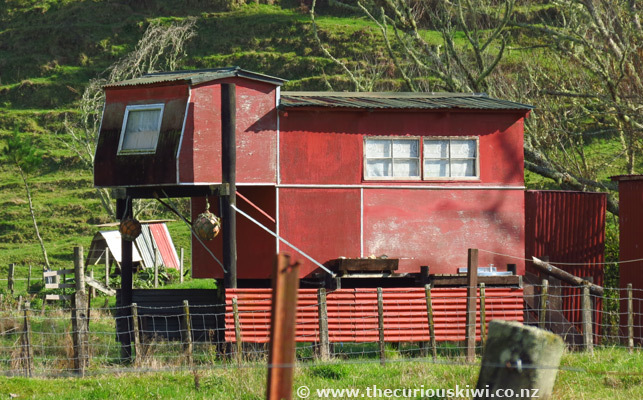 Note: If you're looking for the decaying red farm shed on the back of the Forgotten World Highway brochure you'll find it on Raekohua Road. 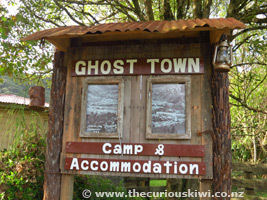 Turns out Tangarakau Ghost Town - Camp & Accommodation and Bushlands Holiday Park are one and the same. It's a lovely spot to camp and the big green open space is dotted with little cabins. In the camp kitchen there are photos of Tangarakau in the 1920's and early 30's when it was a thriving railway settlement. A school photo taken at Tangarakau School in 1926 shows around 100 children. (I couldn't find the owners and the Bushlands website doesn't work, but people were staying there so the camp is operating). Next stop was the Tahora Saddle, the area was once covered in dense forest but the trees were felled and the forest burnt away to create blocks of land for farming. 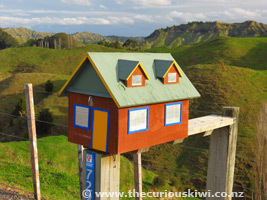 Back Country Accommodation at 7225 Ohura Road is atop a hill and provides splendid views of the surrounding countryside. 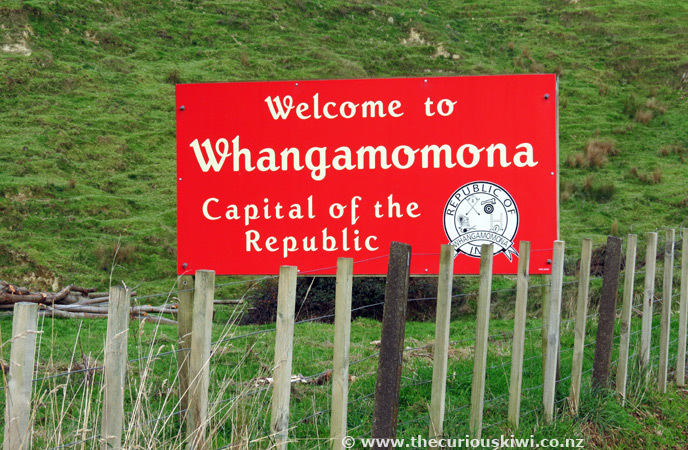 After departing Taumarunui at 9.45am we finally made it to the self proclaimed Republic of Whangamomona at 2.30pm. Two cows were acting as Immigration Officers and gave us the once over as we cruised over the border. We paused to read the Heritage Trail sign dedicated to Alice King. 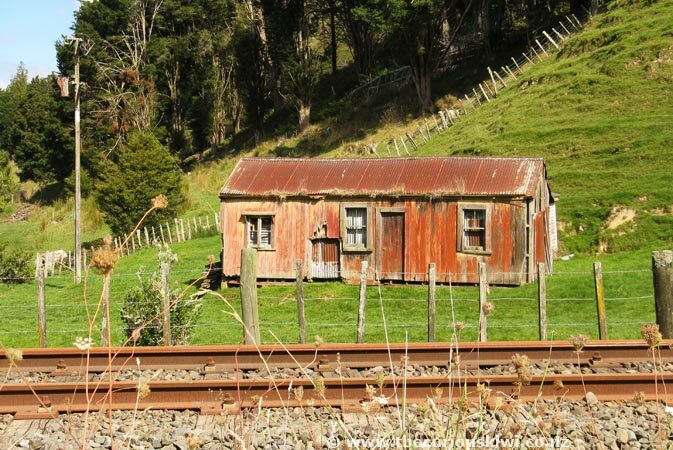 In 1884 Alice moved with her husband and two children onto one of 111 blocks of land created by the NZ Government. Access to the land was described as primitive and services were nil. Alice raised her children and had another son before developing peritonitis in 1897. A doctor set out on horseback on the 65km journey from Stratford to treat Alice, unfortunately she died before he arrived. Trees planted to mark Alice's grave were inadvertently cut down in 1975. Alice's family campaigned for a Heritage Trail sign to be erected in her memory and in 2008 their campaign proved successful. Just as we entered Whangamomona Village we saw some dinky little carts sitting on the railway lines. 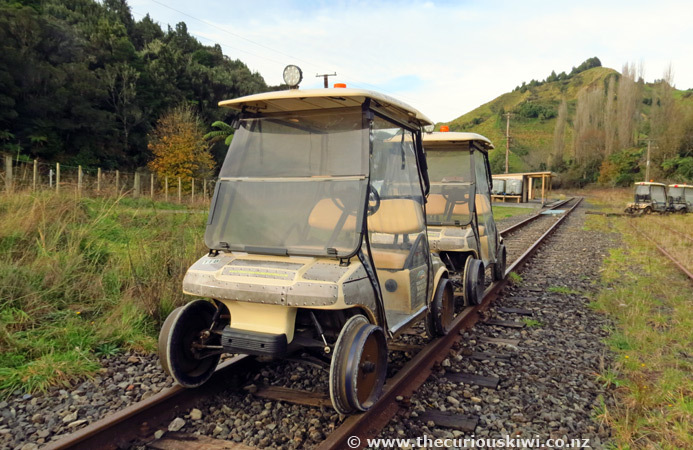 Forgotten World Adventures own the carts and offer self drive and self pedal rail tours. 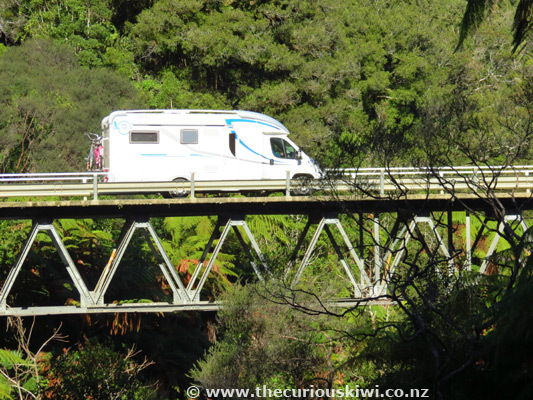 We pulled up outside Whangamomona Hotel, currently the only place on the Forgotten World Highway where you can stop for a meal and a beverage all year round (you can stay the night too). It was a welcome break for us and fortunately there were scones left to go with our tea. If a cold beer is what you need 'Whangamomona Republic Dark Ale' is on tap. If you're wondering why it's called the Republic of Whangamomona it's because local district boundaries were changed in the late 1980's. Half of Whangamomona District remained under Taranaki but the other half joined Manawatu-Wanganui. Locals weren't impressed, especially as it happened without consultation. 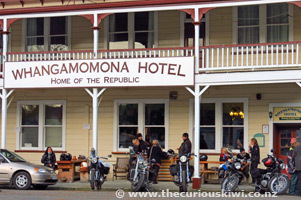 The locals responded by declaring their independence at a meeting in the Whangamomona Hotel in 1988. Republic Day is celebrated biannually in January, festivities include the election of a President. The current President is Murt Kennard, he came to power after Tai the poodle (photo left) went into retirement. If you're looking for a unique souvenir you can get yourself a Republic of Whangamomona passport at the hotel. 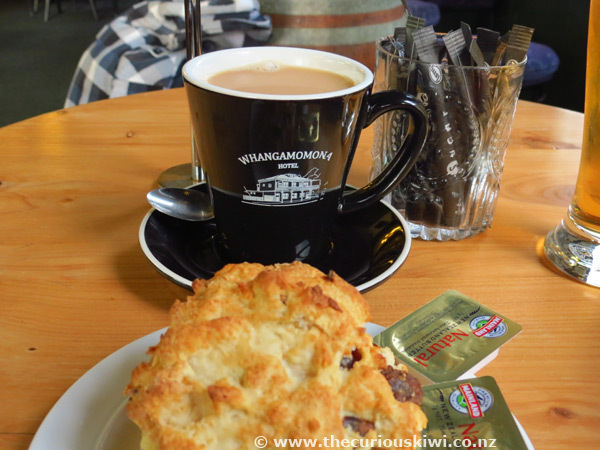 Whangamomona Village has been spruced up since our last visit and the front window of the old General Storekeepers is full of local memorabilia. 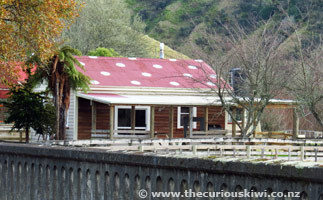 A spotty roof marks a new accommodation option - Whanga Bridge House. If you're a camper, a powered site at the old school turned Whangamomona Camping Ground is $20, tent site for two $15, showers $2. 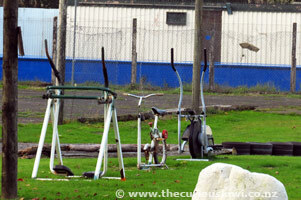 There's a little playground for the kids and an 'outdoor gym' for the adults. After six hours on the road we were keen to put the final 60km to Stratford behind us. We stopped at Strathmore Saddle which has two picnic tables roadside, on a clear day you can see all four mountains - Taranaki, Tongariro, Ruapehu and Ngauruhoe. We captured a hazy Mount Ruapehu in the fading light. We whistled through Stratford as we had accommodation booked in Inglewood - rave review about Stoney Oaks Wildlife Park & Farmstay. 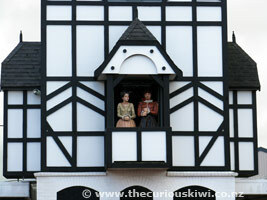 From a previous visit we know that Stratford has at least one unusual attraction - the Glockenspiel on Broadway. 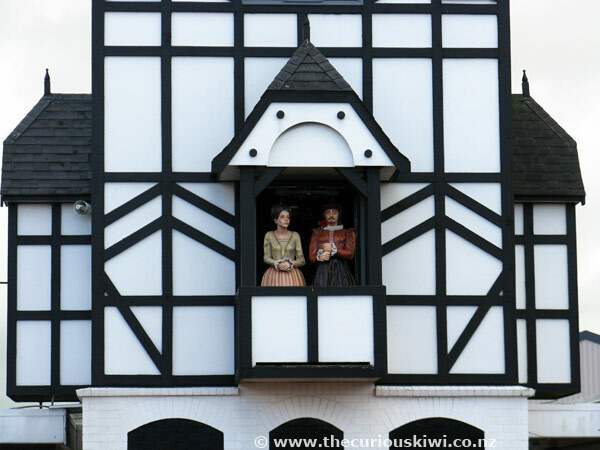 Four times a day (10am, 1pm, 3pm and 7pm) Romeo and Juliet appear separately out of windows in the clock tower before reuniting on the balcony. 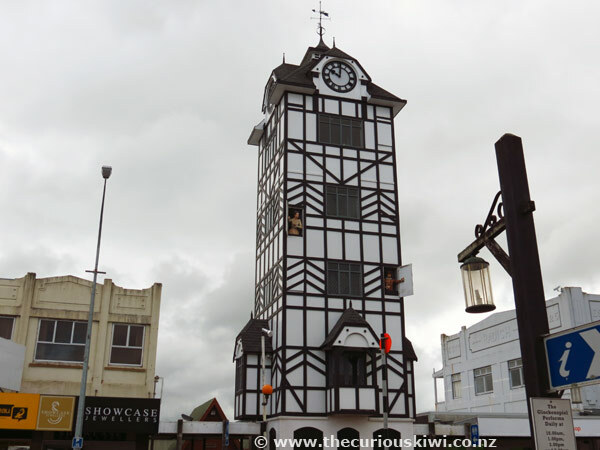 (If you're interested in unusual clocks in New Zealand see Curious Clocks via thecuriouskiwi/blog). - There are no petrol stations on the highway, so make sure your petrol tank is full. - Although the Forgotten World Highway is only 150km long there are plenty of twists and turns and four saddles to climb. It's not a road to drive if you're in a hurry, 12km of the highway is also unsealed, the unsealed road is easily managed if you drop your speed. - Allow yourself plenty of time to drive the highway, it took us 7 hours with plenty of stops and detours. 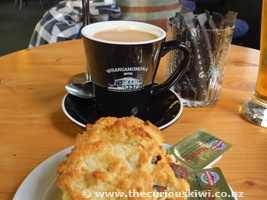 - If you start your journey in Taumarunui and plan to visit Mt Damper Falls and other sites it's a good idea to have some lunch and drinks with you. 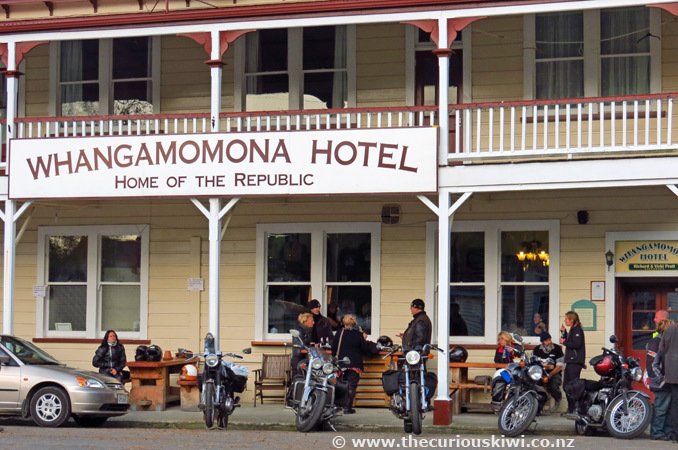 Whangamomona Hotel is 88km from Taumarunui and is currently the only place open all year round where you can buy food and drinks. 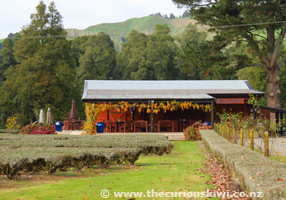 (Lauren's Lavender Farm is 15km from Taumarunui and has a cafe but it's closed in winter - reopens end of September). - Cell phone coverage is almost non existent, try the high points like Nevin's Lookout if you need it. 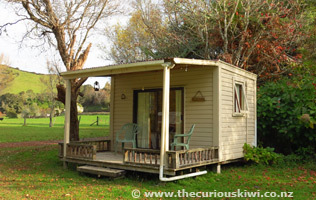 - Book ahead if you want accommodation, especially in Whangamomona. - There used to be a lack of toilets on the highway but now you will find long drops at Joshua Morgan's Grave and Mt Damper Falls (it's worth taking your own toilet paper just in case). 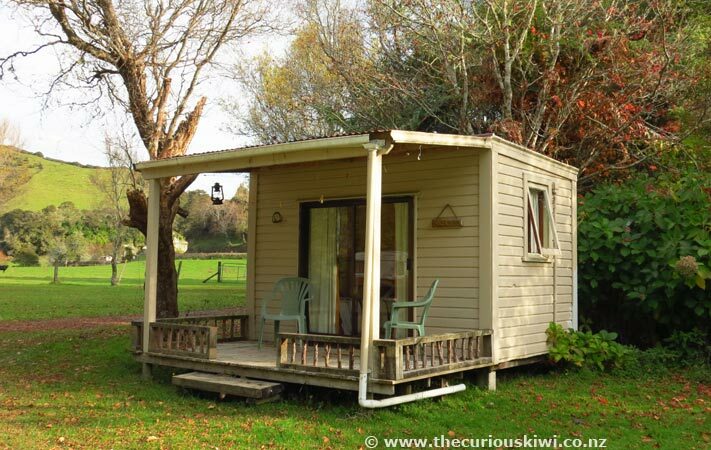 There are public flush toilets in Whangamomona, and in Ohura (10km detour off the highway required). - If you're not keen to drive the road but would like to travel through the countryside on the straight and narrow have a look at Forgotten World Adventures. Comments to date: 19. Page 1 of 1. Great post and it's really whetted my appetite. We'll be travelling from New Plymouth to Taupo in February 2019 and I'd love to drive this but I can get really bad vertigo on a road with sheer drops and no barrier. Can you tell me anything that might put my mind at rest? Thanks. Admin: Hi, No, I can't put your mind at rest, but I doubt there are any parts of the highway that don't have a roadside barrier, much of it is farmland so it's fenced. However it's very hilly so there are sheer drops and it's a long drive so you'd need to be prepared for that. 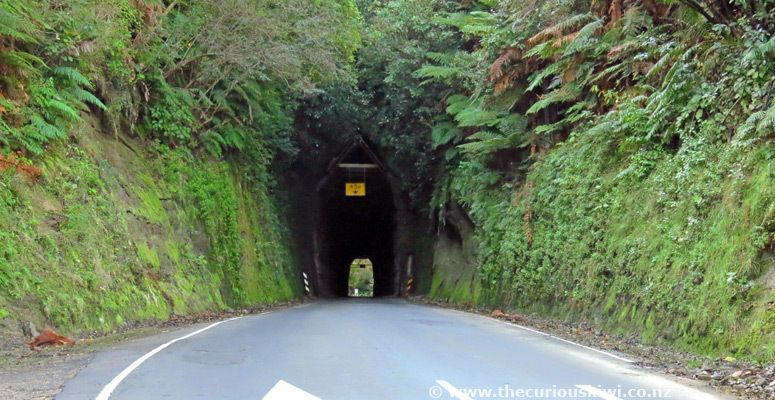 Adventurous drive on this route with my parents from Turangi to New Plymouth. Admin: Yes, it definitely feels like you're well off the beaten track compared to travelling Turangi to Whanganui then on to New Plymouth. Admin: Hi Merv Congratulations on 52 years of marriage, and what a memorable start to your married life. All these years later the highway still feels like the middle of nowhere and it will be a special trip for you both 'any day now'. Best wishes, I'm on holiday at the moment so I will raise a glass to you tonight - 52 years is a real achievement. They're special memories to have, and made in an area that evokes happy times for a lot of people. I was also brought up in Ohura where my father was a bushman, a coal miner and later a prison officer. I have fond memories of pig hunting, eeling and swimming in the river all summer long. Paradise! Well back in the 50's and 60's i used to travel out with my grandparents to Kohuratahi were my auntie and uncle Barry and Doreen Rowe lived. They moved a few times. 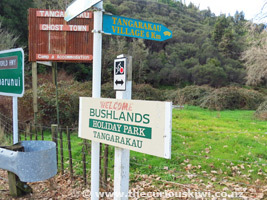 One place they moved to was Tangarakau. I used to feel the cold ,but they had big fire places. No power out there then. Admin: Hi Robert Thanks for stopping by. 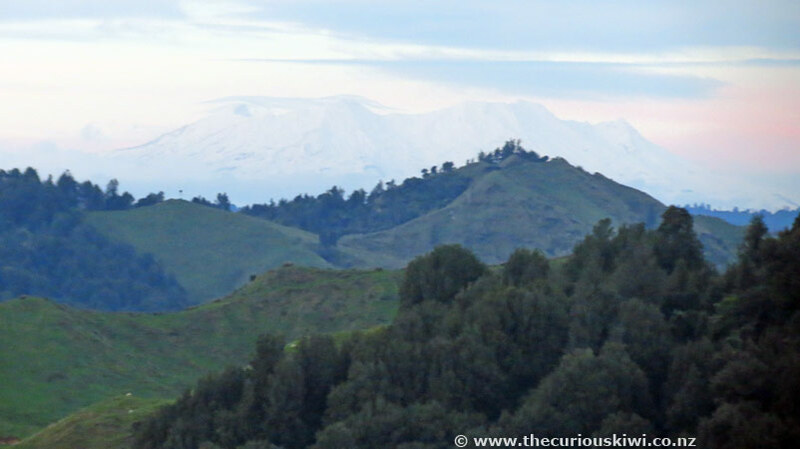 You may have read it, but if you Google 'once upon a time kohuratahi' a story comes up with some good yarns and interesting history about the area that you might enjoy. It says two All Blacks were born in Tangarakau, and Tahora got the phone on first, in 1913. It would have been a blessing when power arrived, it's something we take for granted these days. Rachael (not Admin, for some reason I can't reply under my name). 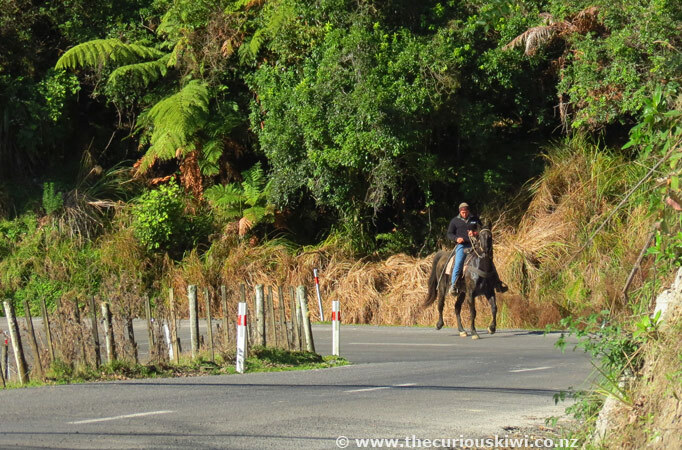 Crikey, our GPS has led us on some mystery tours but nothing like the Forgotten World Highway! You would have been panicking, it feels so remote out there. What a trip to remember, just glad you had enough petrol in the tank to get you through. You're welcome, hope you have a great trip. One of the nice surprises from writing these pages has been the people who share their memories, and it's always heart warming to read comments like yours. So good when the sun shines on a trip that was last done in the torrential rain. 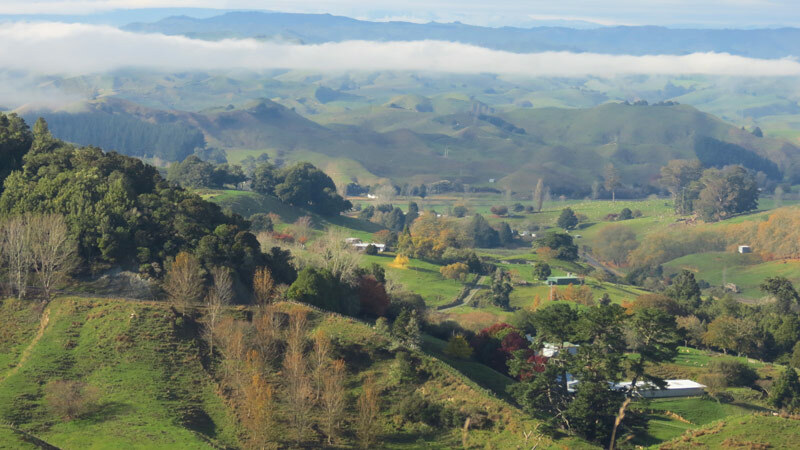 That's a good recommendation for those looking for the 'real New Zealand', we're keen to get to Laurens Lavender one day when the fields are blooming. This is a great description, and now can't wait to take on the adventure. Admin: Thanks Sonia and happy trails, it's an interesting road to travel. 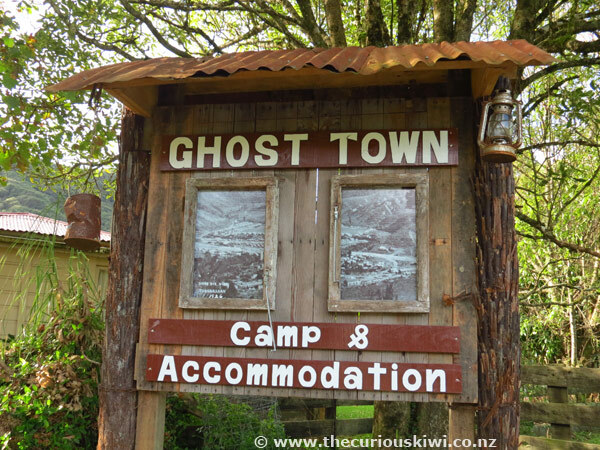 I enjoyed looking at the photos at the Tangarakau camping ground from the 1920's and 30's. It gave me some insight into how it was once a thriving railway community, so it's easy to imagine that Ohura would have been considered a thriving place back then too. 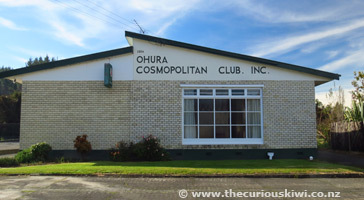 I was surprised to see Ohura had a Cosmopolitan Club, it's great that it's been able to survive despite the dwindling population. Born in Ohura, left for Auckland 1936. We went back on the train several times over the years, had relatives there, still no power at the house in the '40's. 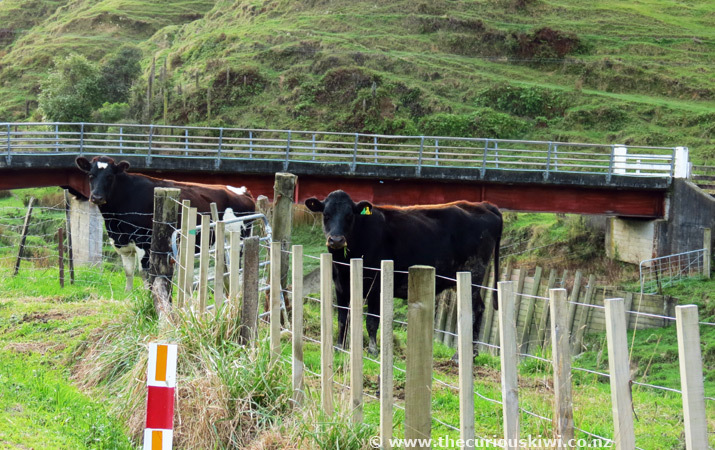 Went to New Plymouth from Auckland for the Military Tattoo several years ago, weather postponed it the night we were going, came along the Forgotten Highway to Ohura before returning to Auckland. My father worked on the tunnels when they were putting through the railway line. Ohura used to be a thriving town. You're welcome. Whoever came up with the name Forgotten World Highway was bang on, that's just how it feels to me, and spectacular views for sure. Wow! Thank you for sharing.. I have have travelled this road many times to get to Stratford and Eltham.. Spectacular views.. Theresa's no other road like it.. This road takes you into the journey.